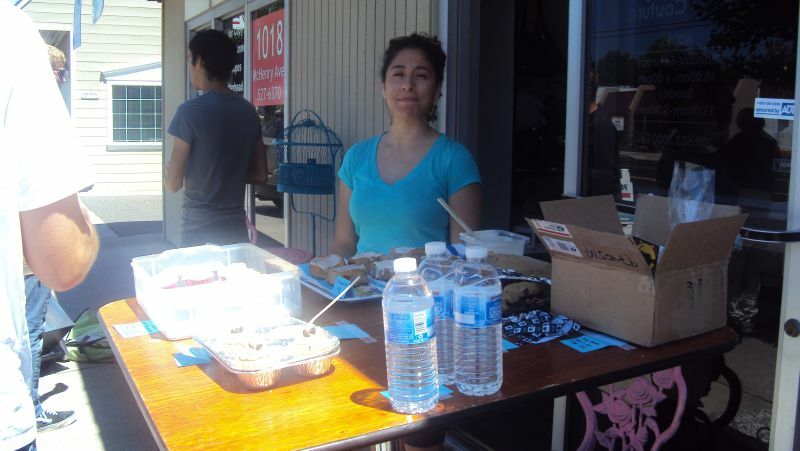 MissMuffcake: Modesto's vegan bake sale - Awesome day! 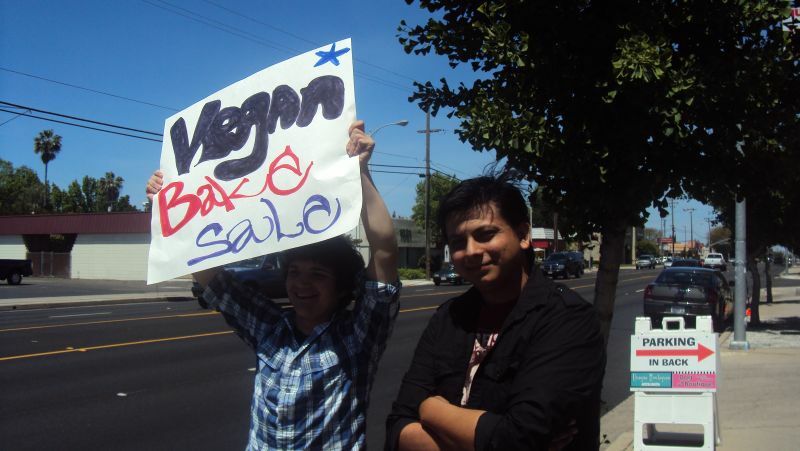 April 29th through May 2nd marked the second annual World Wide Vegan Bake Sale. All around the world people were in their kitchens baking up some tasty treats minus all the animal ingredients usually associated with baking. Last year the event was during my birthday weekend and I was in San Francisco. I stopped by San Francisco’s event and saw the set up, met some people and thought to myself “I could do that” and this year I did. I chose May 1st because May is the official pet cancer awareness month. 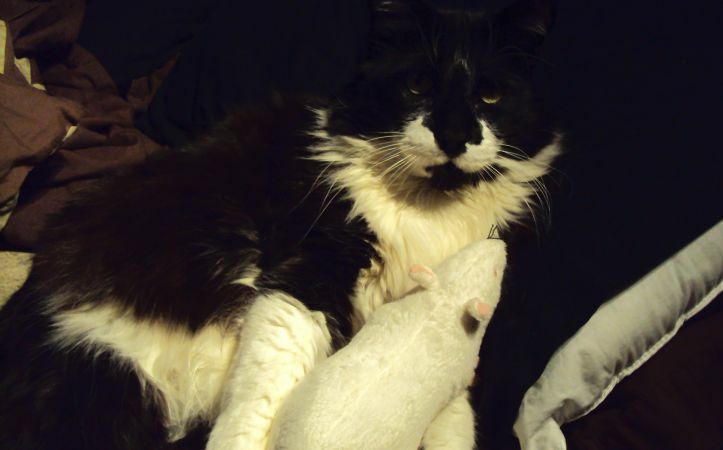 Last year my cat Mar was diagnosed with cancer and thankfully it was treated when we had his tail amputated. He is doing fine now. I want to give other cats and dogs a fighting chance. I started planning in March, first came location. After finding one I started looking for bakers. At first I thought I would be the only one baking. My mom offered to help and soon after people started contacting me. 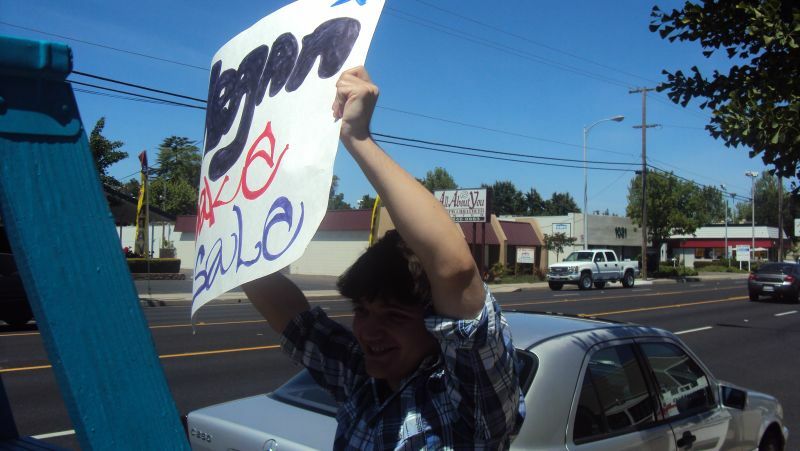 I was so excited and super thrilled. We even had Vegan Propaganda send in dog treats from NJ! Awesome right? My boyfriend Matthew designed some simple fliers, we printed them out on recycled paper and placed them all over town and on our social networking sites. May 1st arrives and I am up frosting a few dozen cupcakes I made the night before and getting the car packed. We arrived early and while it was windy we got things together. Bakers and friends started arriving and pretty soon we had a nice set up. 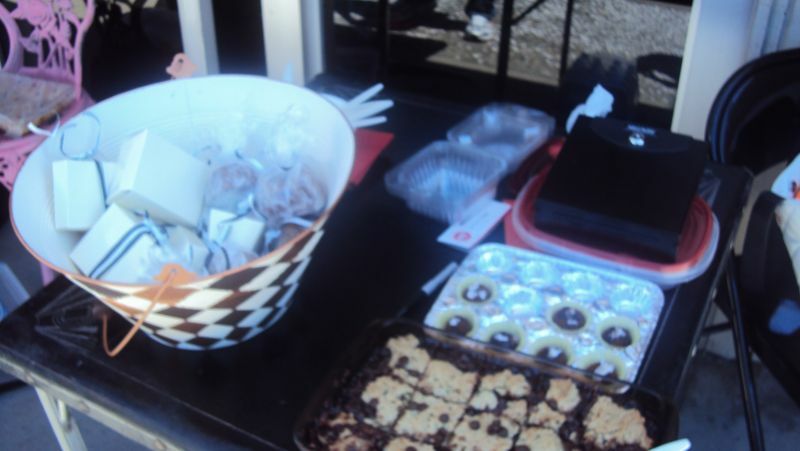 There were various flavors of cupcakes, a variety of raw treats, chocolate chip cookies, raspberry blondies and solar oven baked cinnamon rolls to name some of the stuff there. While the food and new friends were awesome the best part of the day was when we counted the money and realized we made $400 in four hours that is going to help the local animals in our community. With kitten season around the corner we are helping getting cats trapped and neutered and buying much needed medicine. I want to thank the awesome people that came out and helped, people that spread the word and people that came out and bought yummy treats. This inspires me on so many levels. I get misty eyes just thinking about how awesome the day was. Certainly looks like you had fun! found you on etsy forums..I hope you'll come visit me too!